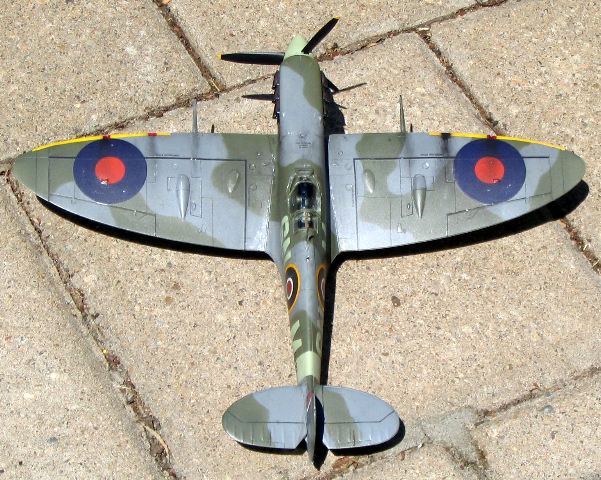 Here are some images of a 1/48 Spitfire Vb. 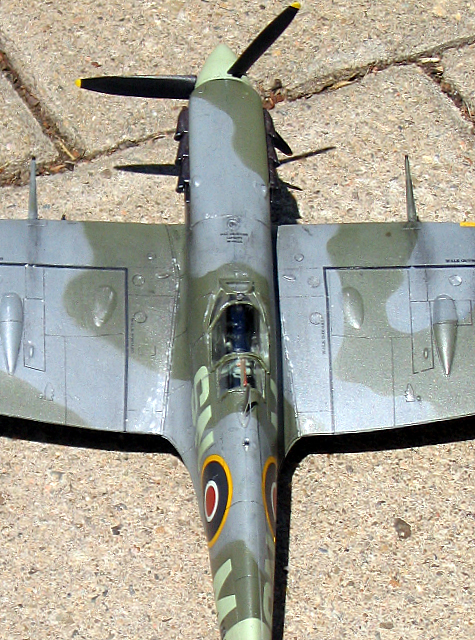 Built from Tamiya kit with the included markings of EN821, SN-M of No. 243 Squadron RAF. 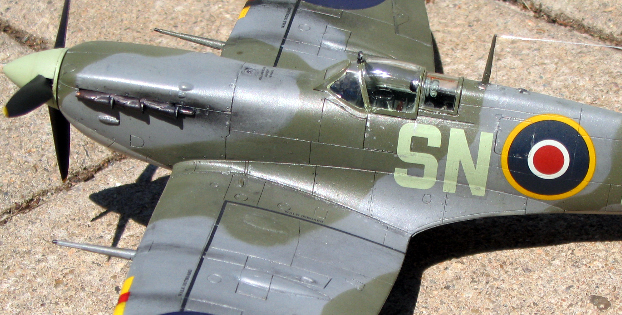 I finished this model with a heavy weathered effect to suggest a heavy sortie load. Fascinating! 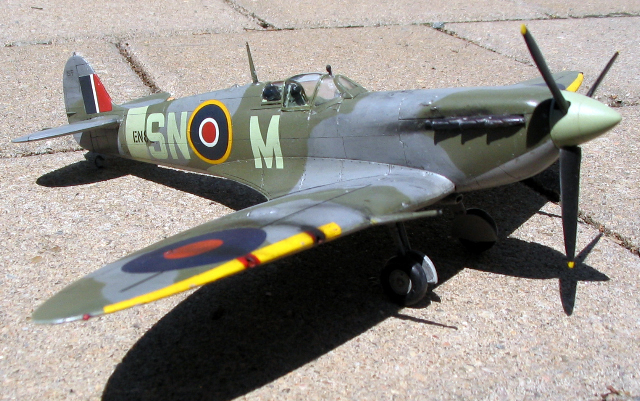 SN M carried the RAF number ER817. 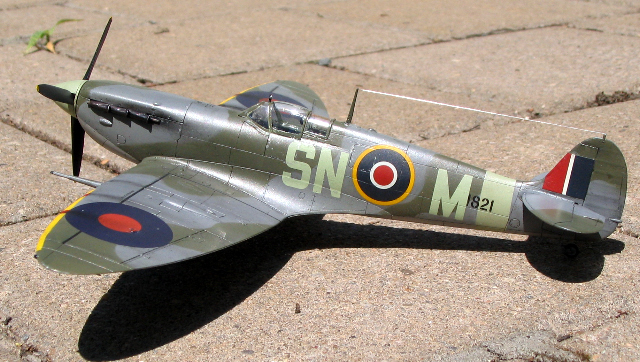 My late friend, Captain Richard I Hill., formerly of BEA flew this aircraft in North Africa. I have the relevant pages of his log book… “Dicky” was a very much respected airline pilot who as Technical Chairman of BALPA and eventually IFALPA in Montreal did excellent work to promote the safe operation of civil aircraft. He told me he started his civil career flying a Miles Aerovan used to ferry the late Ken Wharton about. Wharton drive the infamous V16 BRM… But “Dicky” became well known in Scotland flying the BEA Pionair DC’3 round the Highlands and Islands., following that the BEA Argosy freighter and ultimately the DH.Trident. very nice im making the 1/72 and needed ref material about the gold leaf painted on the inside of the rear part of the fixed section of the canopy. yours is the first ive found with it visible. the instruction sheet just says X12 inside with a line pointing to the canopy. its not very clear i nearly painted the whole of the inside frame but didn’t due the trouble but it kept on bothering me. i havent found any mention of why can you shed any light on it?